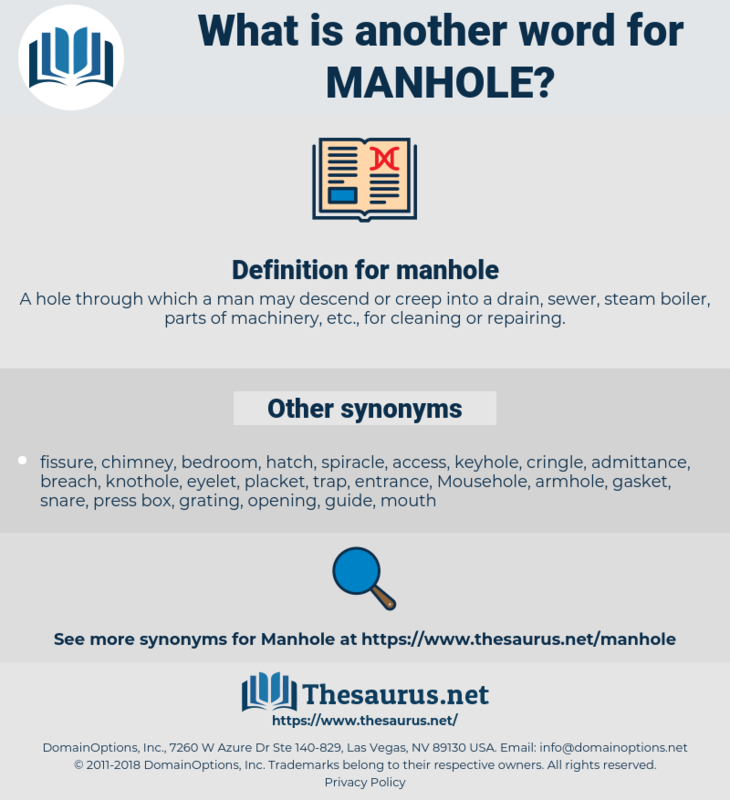 What is another word for manhole? 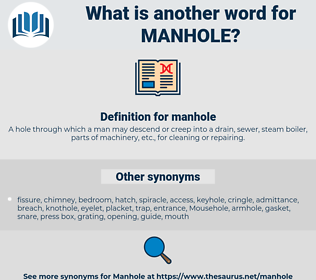 A hole through which a man may descend or creep into a drain, sewer, steam boiler, parts of machinery, etc., for cleaning or repairing. mellow, mammalia, mill, mil, molle, manual, mullah, mulwi, mainly, mealy, mammal, meanwhile, menial, mali, mulloway, mola, mealie, mull, mallee, may lily, mole, mail, mellowly, memel, monilia, minimal, malay, mill wheel, male, moonily, meal, mol, millwheel, moolah, molal, mulla, moll, manilla, melia, ml, manila, Mauna Loa, monal, melee, mollah, mollie, malaya, meanly, milieu, mall, malawi, mile, moil, molly, maillol, manul, molehill, maul, Miaul, monaul, milo, mule, maleo, mamilla, manly, minimally, millay, mallow, mewl, mammilla.